We've gathered some useful facts and figures about England's most northerly county as well as signposted to places for detailed statistics. 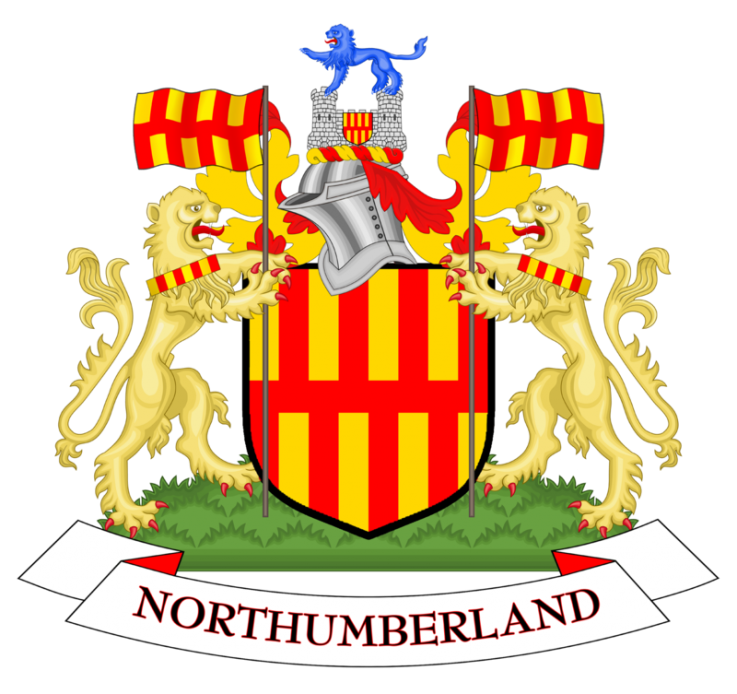 Northumberland is home to 316,000 people and covers an area of 5,013km2. 97% of its area classed as rural, the county is sparsely populated with 63 people per km2. Half of the county's population live in 3% of urban land found in the south-east of the county. 23.6% of residents are over 65 years old. Deaths outweigh births, and this combined with in-migration being slightly higher than out-migration, has produced a slight increase in the population of the county. Life expectancy at birth for males is 79.0 years and 82.2 years for females. 76.5% of the adult population are economically active. Four-fifths of residents own their own home. Unemployment levels are higher than the national average. 23,877 (8%) people in Northumberland live in areas within the 10% most deprived decile of the IMD 2015. More information is available in the Know bulletins and Northumberland facts and figures 2018. Northumberland Knowledge provides information and intelligence about the resident population, the places where they live and the key social and economic themes for the county. The latest, available data and research are available in a convenient and accessible way to inform decision-making, policy-forming and service delivery in Northumberland. Northumberland is generally a healthy place, but there is variation within the county. According to national statistics, the average Northumberland resident is expected to live in good health until the age of 63, which is more than 75% of their lives. However, this varies widely across the county. In some areas of Northumberland healthy life expectancy reaches 74 years but in other areas, it is as low as 51 years. 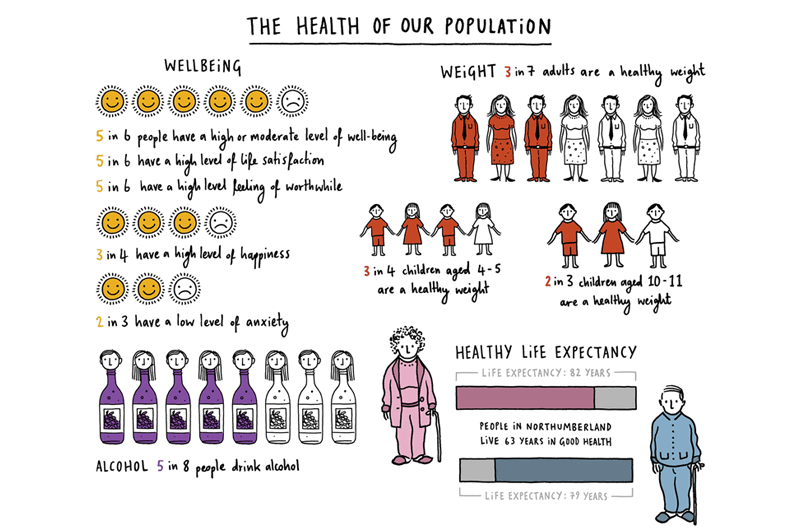 This is a useful indicator of health inequalities in Northumberland and you can find many more health indicators here. For where to go, stay and what's on this website has all the details. Over 56 days of summer in 2018, Northumberland County Council curated a selection of events to Enjoy, Discover, Explore and Reimagine Northumberland. In a year that saw the Great Exhibition of the North put the spotlight on the North, we celebrated the best that Northumberland has to offer. 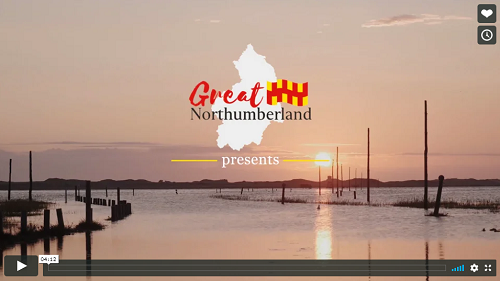 You can view a video which gives a great overview of the wide range of cultural activities Northumberland has to offer.